Robert Tanswell 15/04/2019 15/04/2019 No Comments on A reminder there is no class tonight due to repairs being made to the roof see you On Thursday! 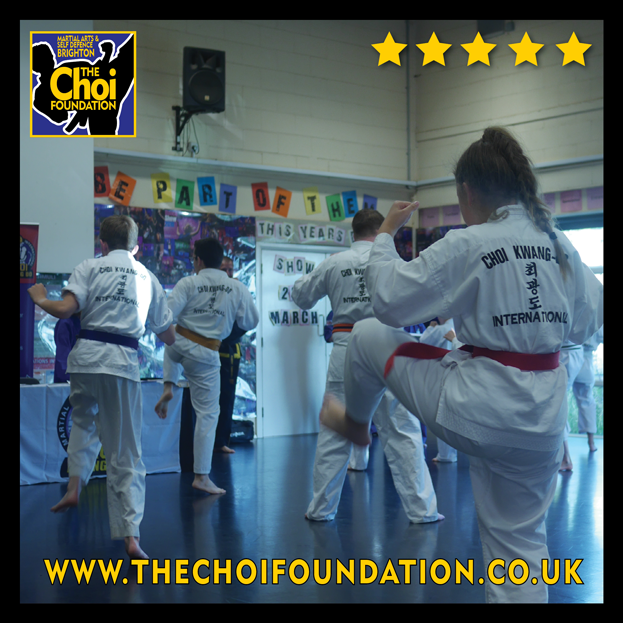 Warm up your body and mind with our one hour Martial Arts classes on Mondays and Thursdays at 7.15pm in Dorothy String Sports complex, Loder Road, Brighton. Free parking and covered bike racks. 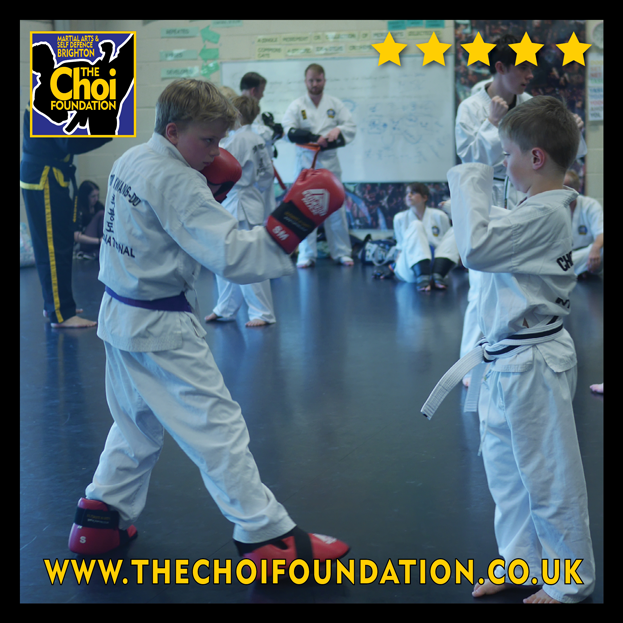 Martial Art classes are for all ages and abilities. Kicking and punching away the January blues. Exercise is the best way to improve your mood and get warm! Robert Tanswell 17/01/2019 04/12/2018 Comments Off on Do you think you know someone who could benefit from self-defence classes? 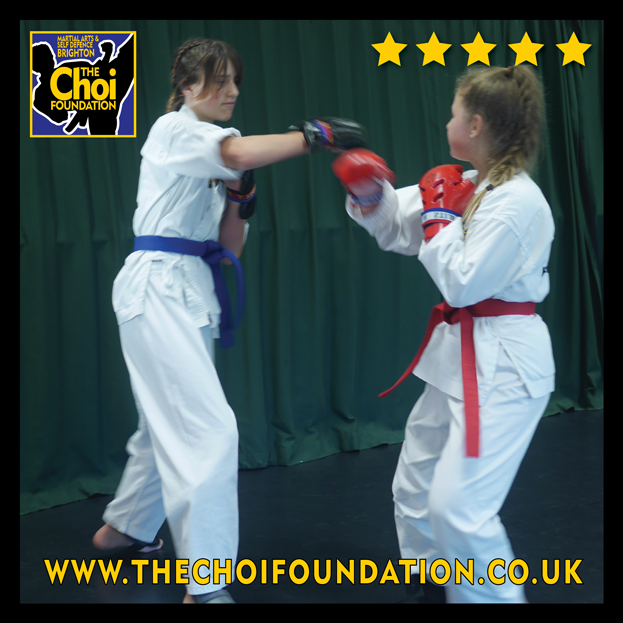 Martial Arts & Self-defence classes are fantastic for confidence boosting in men, women, girls and boys. Exercise puts you in a positive mood but gives you energy and motivation to accomplish tasks. 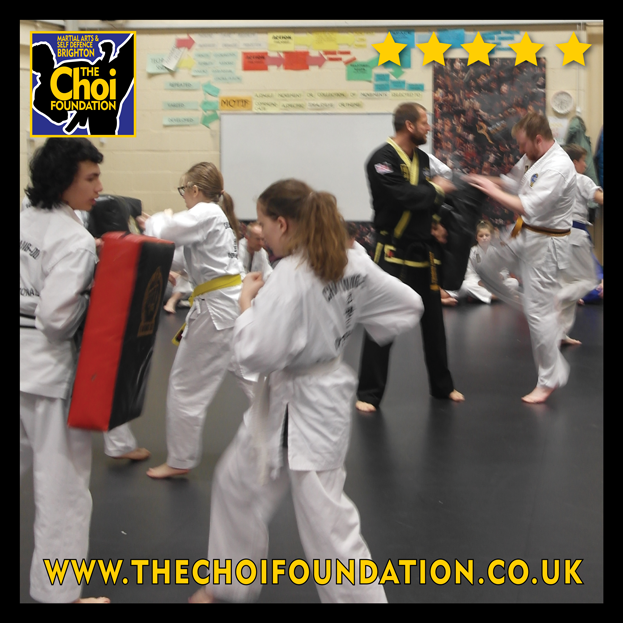 Seeing others working hard in class promotes self discipline the reward is a fun and enjoyable class. 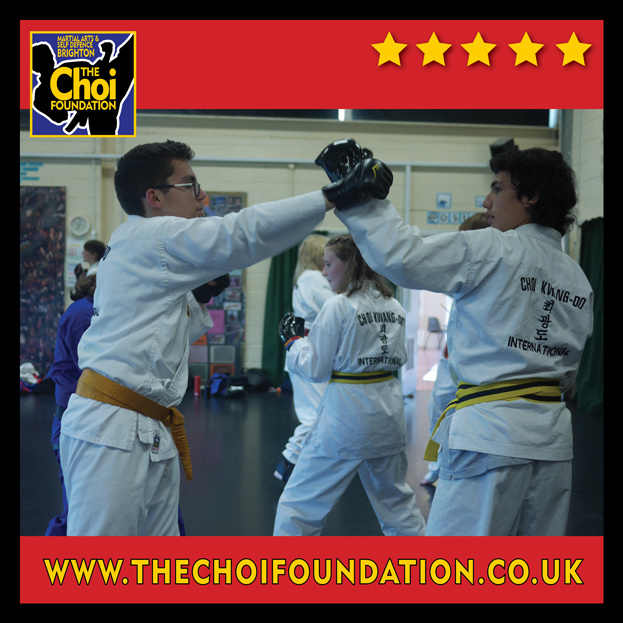 Improve your fitness, health, mood and bones at our fun Martial Arts and self-defence classes. Balance also helps with It helps your posture, muscular balance, joint dynamics and stability. When you get middle aged, balance, stability and flexibility get harder to maintain. 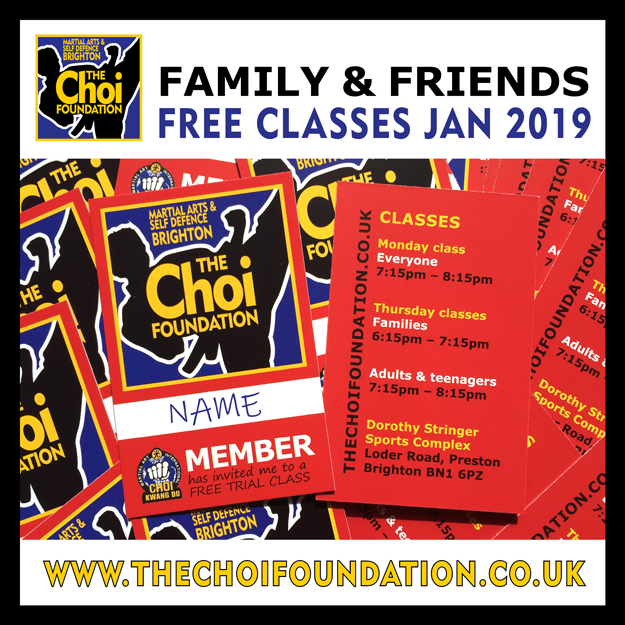 Try a free trial class contact Robert. We look forward to meeting you. 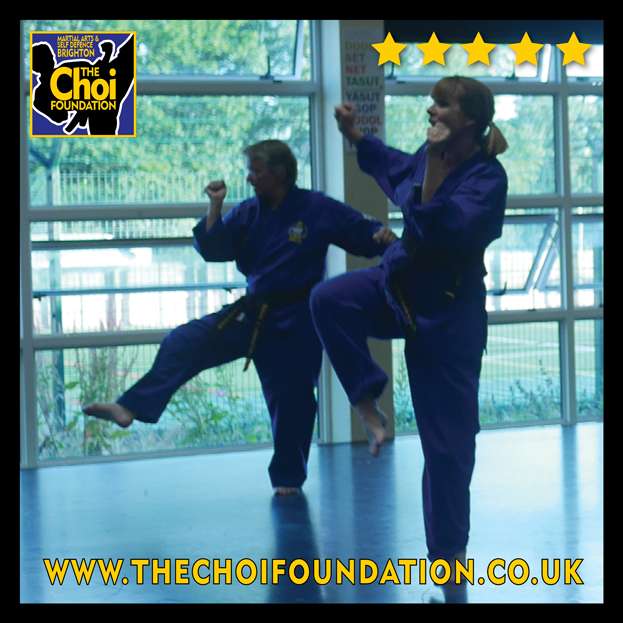 Learning self-defence to look after yourself is one of the most important things you should do for you and your family. 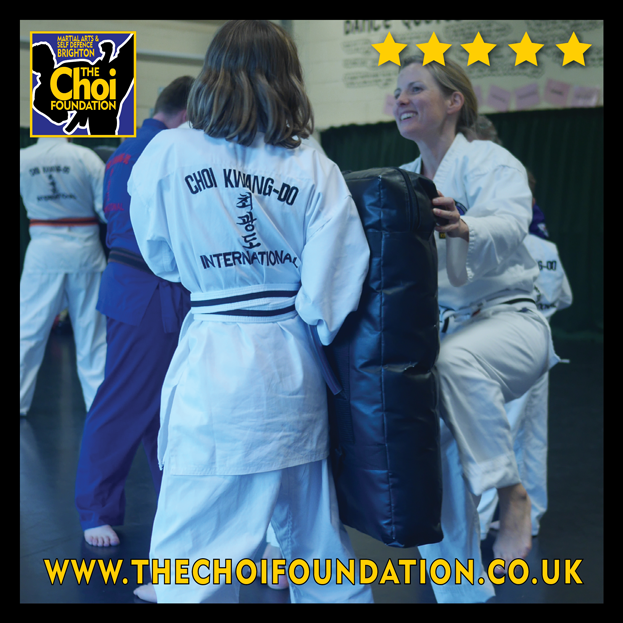 In our Brighton Choi Kwang Do class we promotes a nonviolent self-defence, in a fun and safe environment. 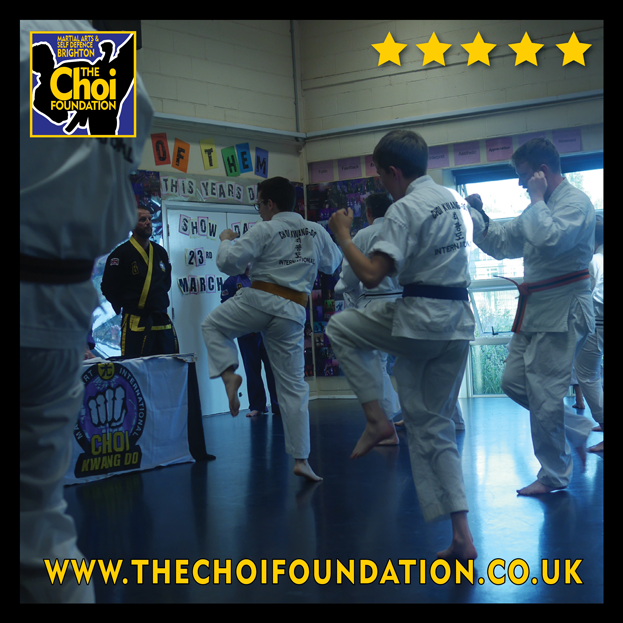 Our classes generate positive energy in a supportive, friendly atmosphere. Students are shown respect for their efforts. They are encouraged to reach their goals with praise and positive reinforcement It’s a brilliant environment for families, parents train with parents while your children train together. 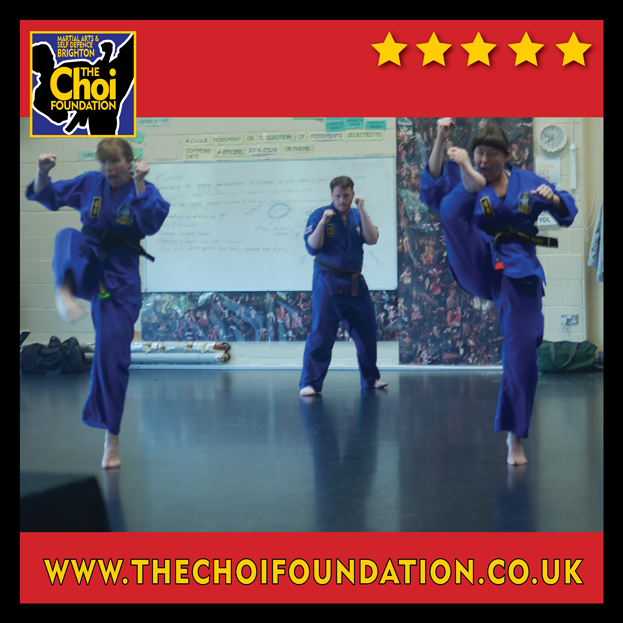 The Choi Foundation self-defence classes allow adults and children the opportunities to encourage others, to be patient, to develop self-confidence and self-belief. This has an amazing effect and are essential for a happy life. Let yours grow step by step. Contact Robert for your free trial lesson. Enjoy a fitness class FREE trial class, you will be surprised how fun it is. 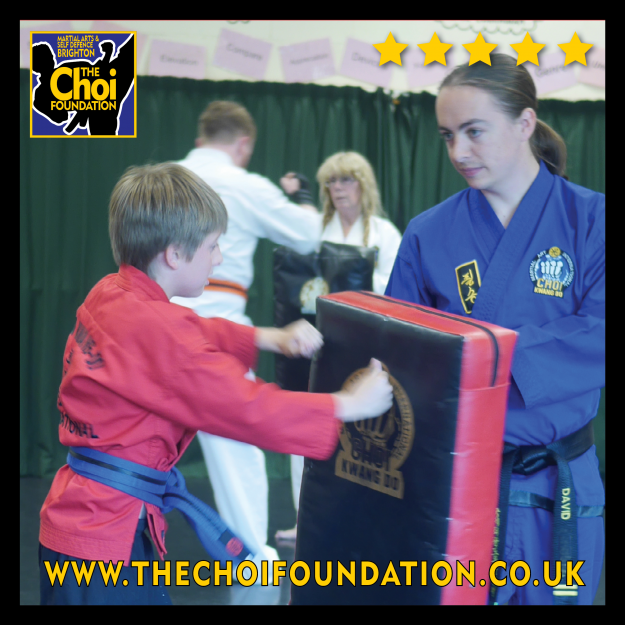 MArtial Arts is for all ages and abilities. Don’t take our word, come and see for yourself. Contact Robert by clicking here. We look forward to meeting you. 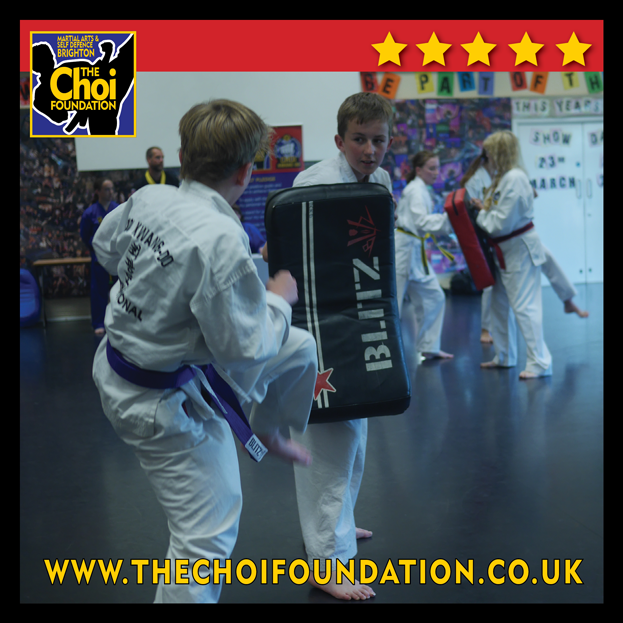 Martial Arts can be as easy or as challenging as you make it. 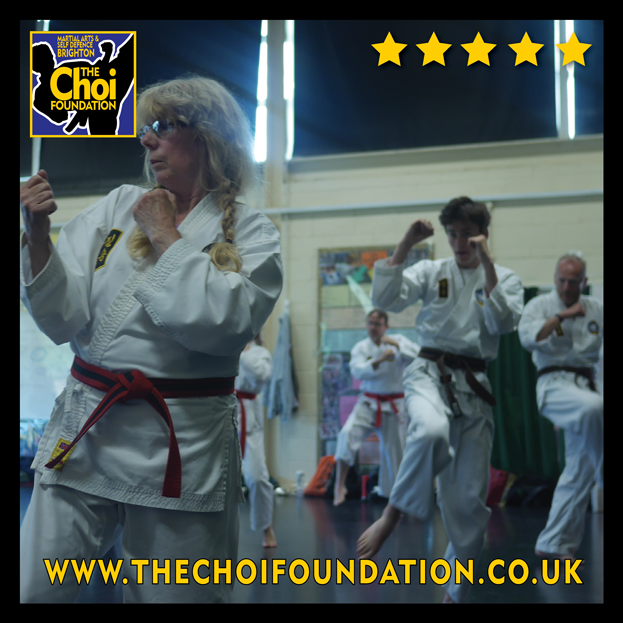 Fun and respectful classes for all ages and abilities. give something different this year. 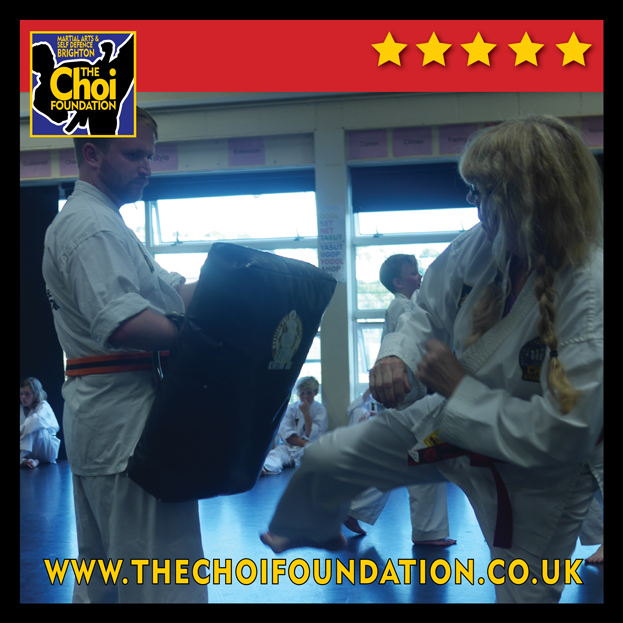 Your special someone could become a Black Belt! 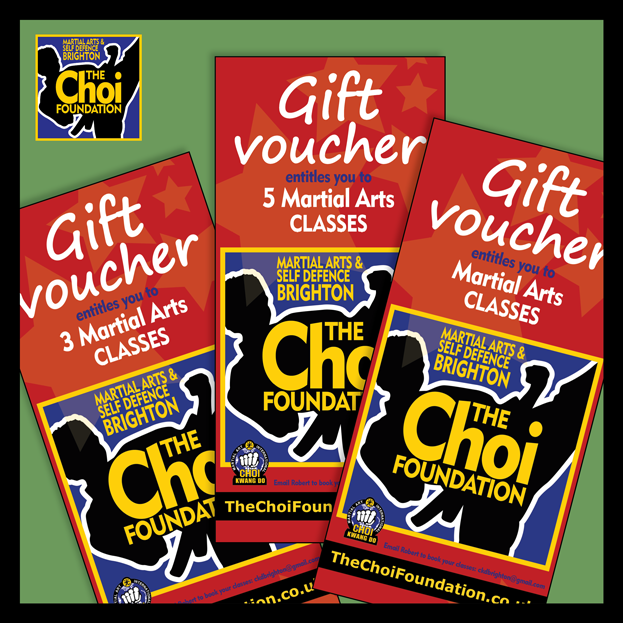 Do you have a difficult person to buy a Christmas gift for, with our vouchers your special someone, sister, partner or friend. Vouchers come in 3 and 5 classes or you can subscribe monthly for them. 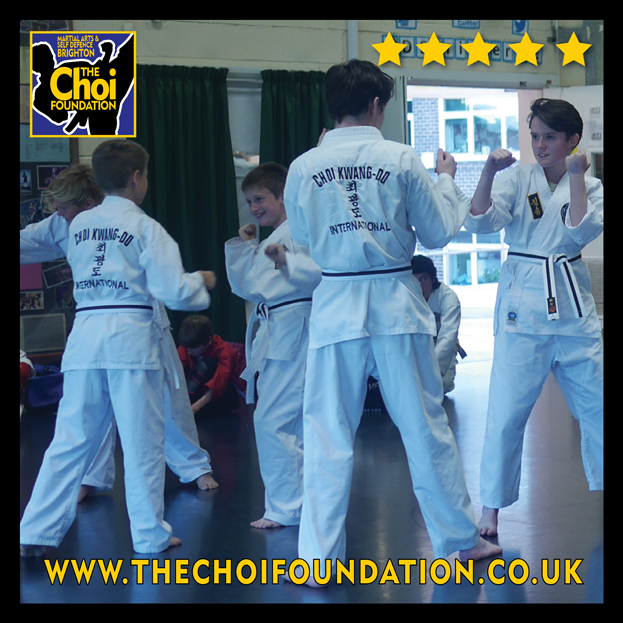 They will enjoy learning a new and unusual sport in our Martial Arts classes. See full details here. It will be you they are thanking when they become a black belt! 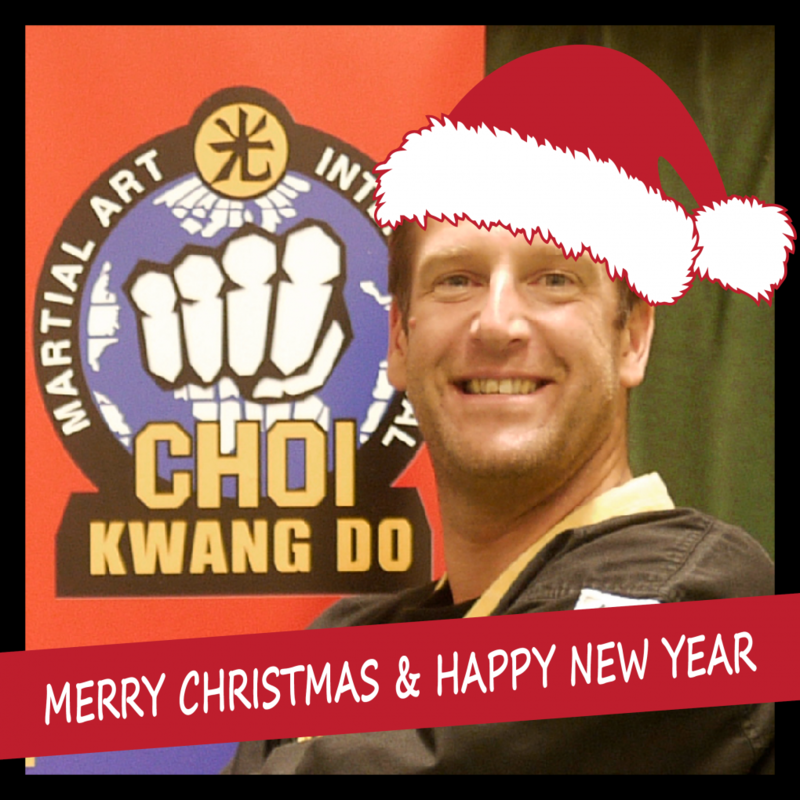 Do you have a difficult person to buy a Christmas gift for, with our vouchers your special someone enjoy learning Martial Arts for a few weeks. 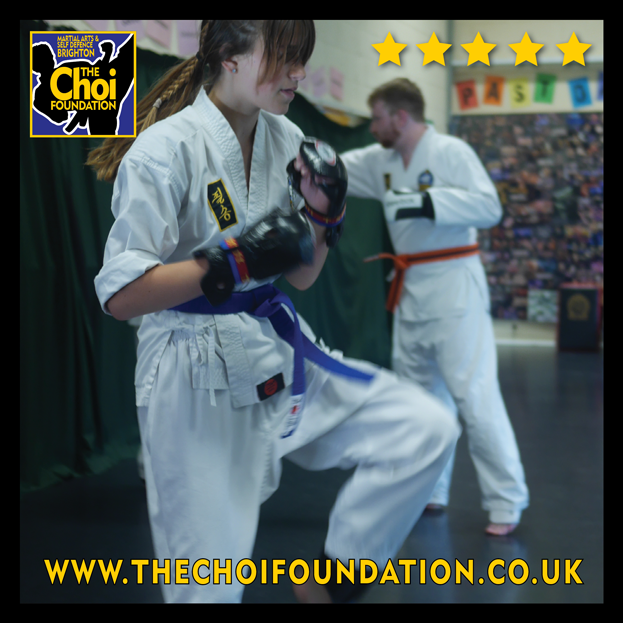 Martial Arts is a fun fitness for all ages and abilities, classes can be as easy or as challenging as you make it. Buy 3 classes as a taster or 5 classes for a full month of fitness. 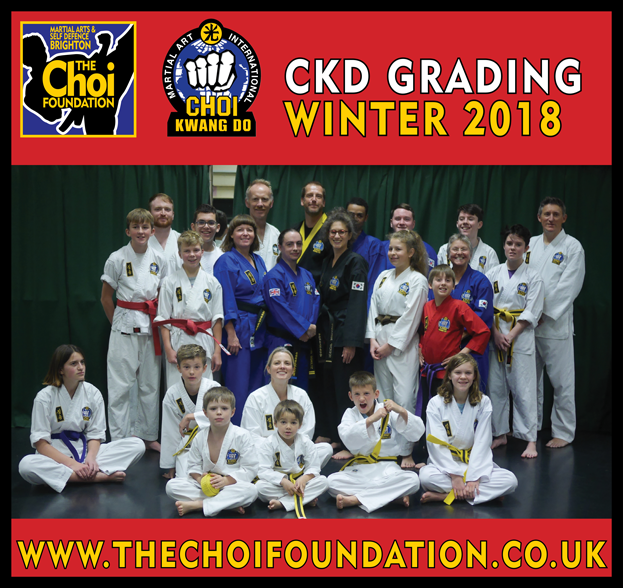 For that really special person subscribe to all their classes. 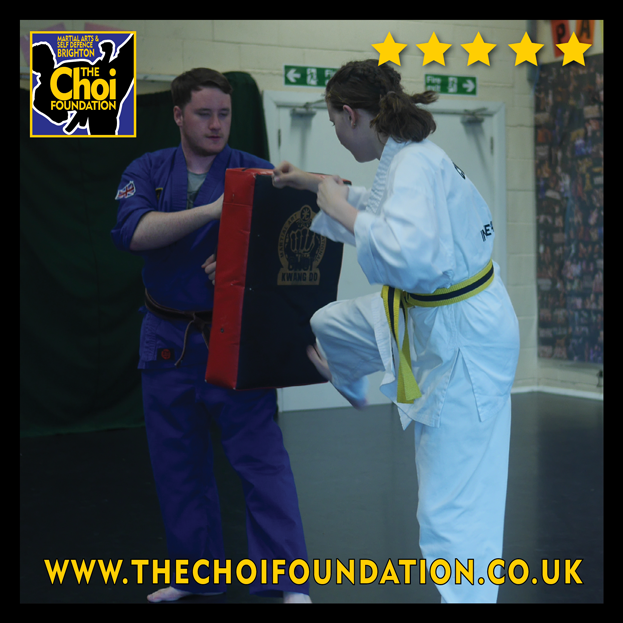 Your special someone could become a Black Belt and will be thanking you forever! Dorothy Stringer School have some events on that may affect parking. 13 Dec 2018. 24 January, 7 March, 2 May 2019. What to buy mum, dad, brother, sister, husband, wife, partner, auntie or uncle this Christmas! 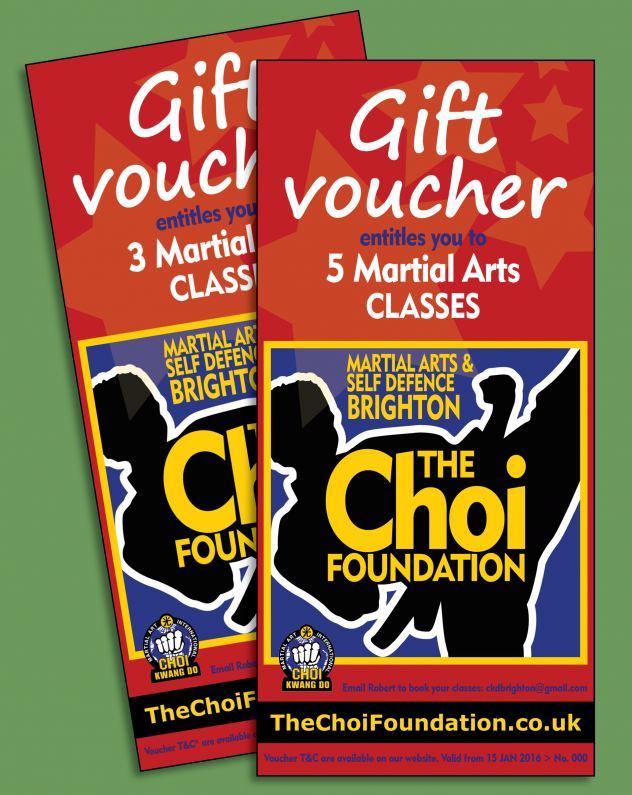 Give your special someone a gift to take part in the unusual sport of Martial Arts and Self-defence. 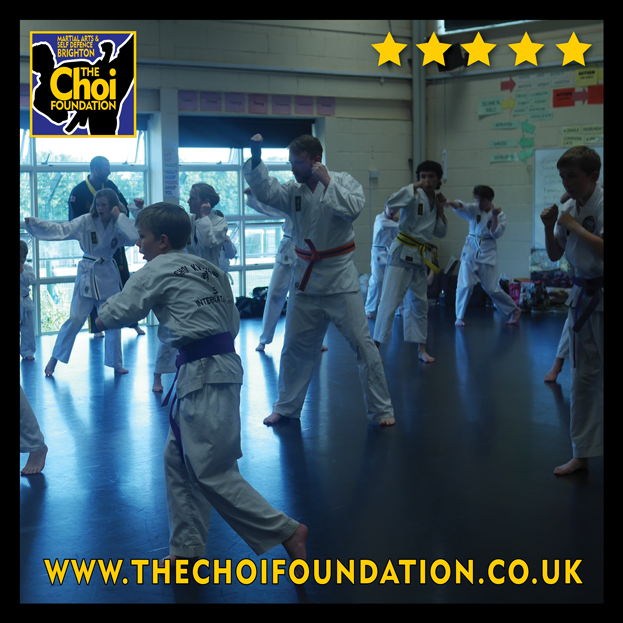 Martial Arts is a fun fitness for all ages and abilities, it can be as easy or as challenging as you make it. 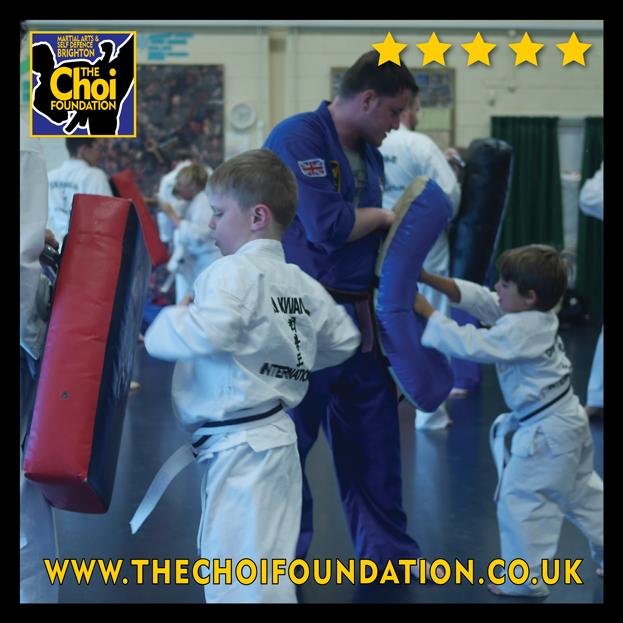 Martial Arts is for families or individuals, we all learn together. everyone is treated with the same respect. 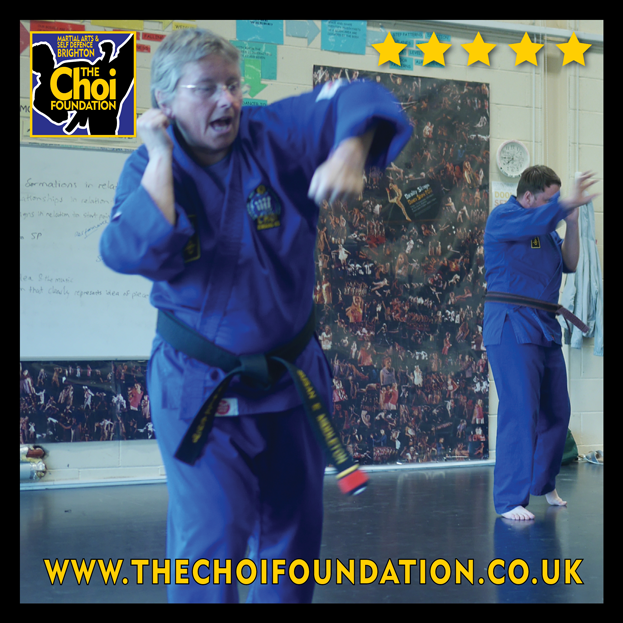 Try a free trial class, no obligation to join, contact Robert by clicking here. We look forward to meeting you. 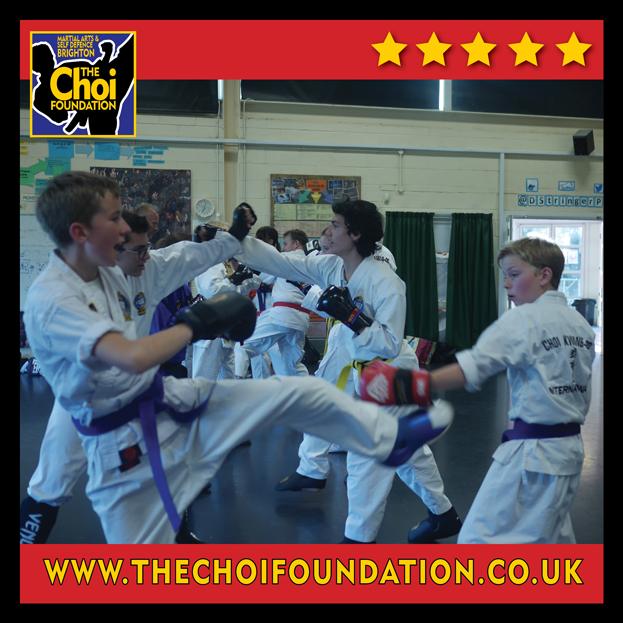 The Choi Foundation Martial Arts classes we see kids grow and develop, into amazing teenagers. Learning to respect all other age groups makes a more confident person. See all 7 reasons here. 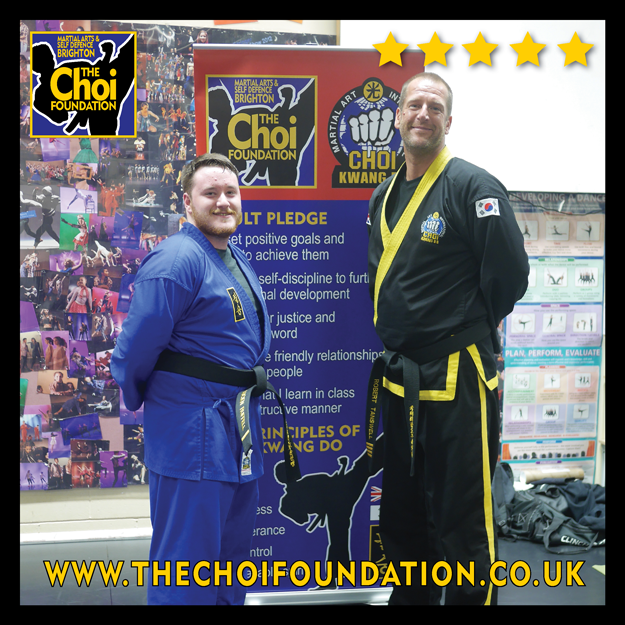 We are all very proud of out latest Black Belt student. Lucien attends classes regularly and takes time in class to teach others. Well done Lucien. 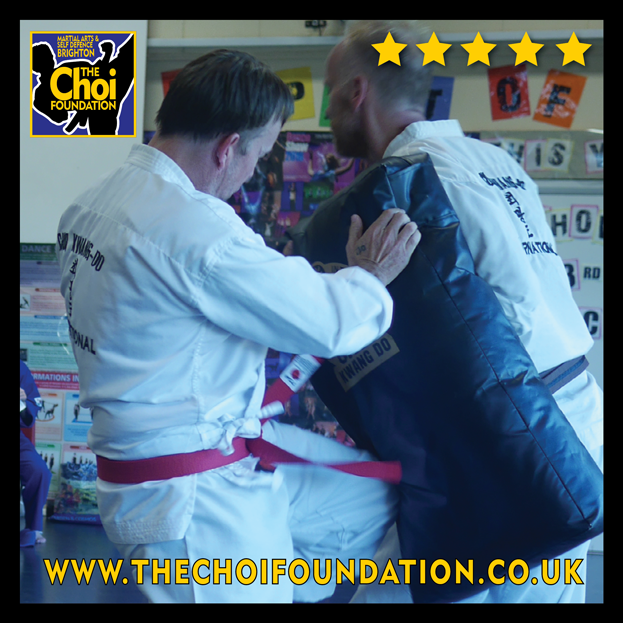 Try a free trial class, no obligation to join, contact Robert today by clicking here. We look forward to meeting you. 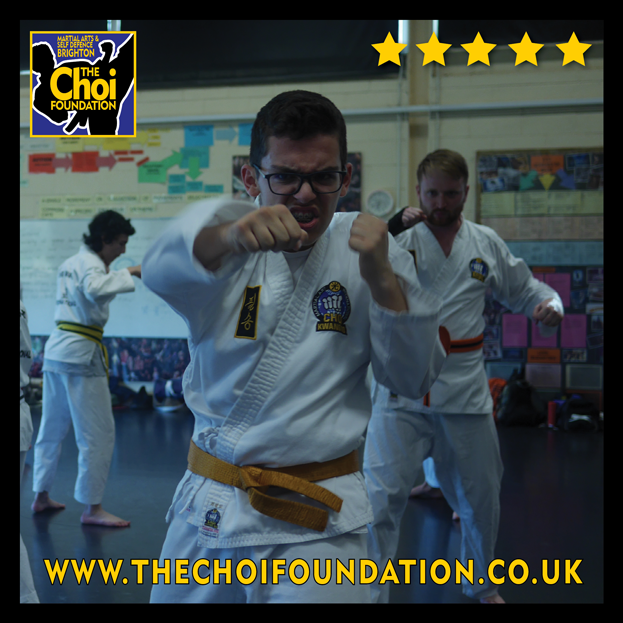 Martial Arts is a fitness for life, even though our students are far away at University hopefully they are still working through there techniques to keep fit. 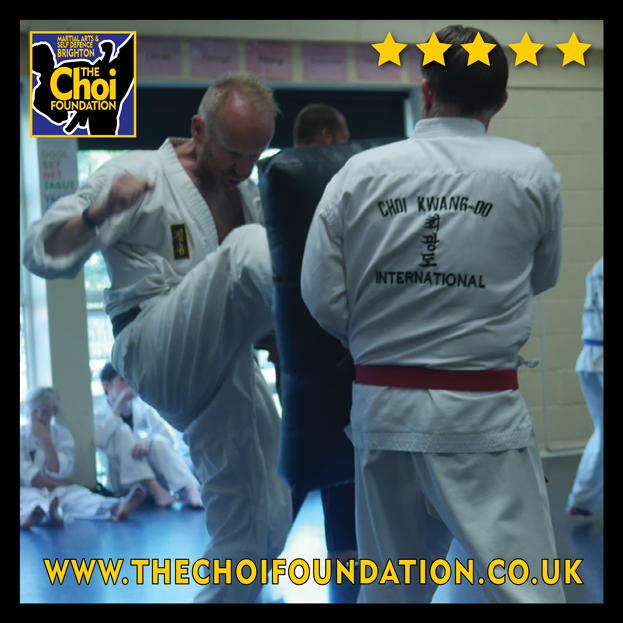 Become a Martial Arts student and try a free trial class, no obligation to join, contact Robert by clicking here. We look forward to meeting you. Our fitness classes are for all ages, working and learning together. We are one big active family. 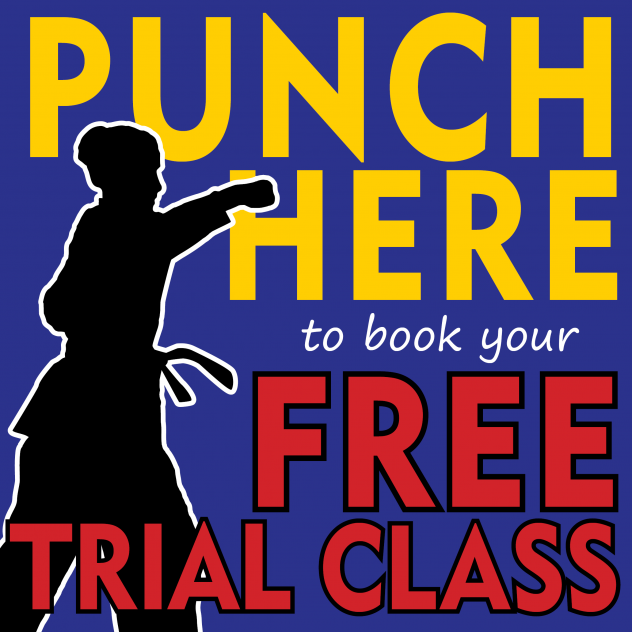 Try a free trial class, contact Robert by clicking here. We look forward to meeting you.